Silicon Valley Raises Questions On Ethics Of New Technology And Social Media NPR's Lulu Garcia-Navarro talks with Caterina Fake. She's a co-founder of Flickr, a venture capitalist, and host of the podcast Should This Exist? about the impact of technology on humanity. 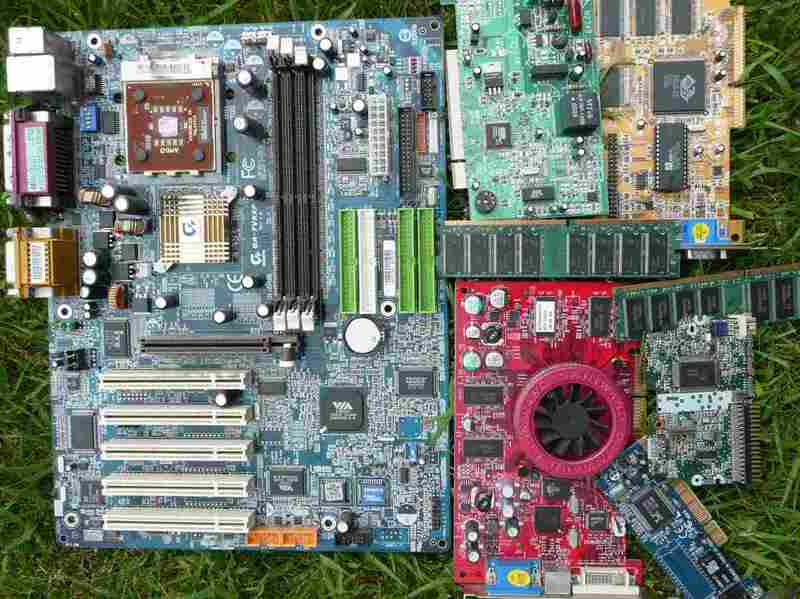 Motherboards coordinate all the processes inside a computer. In fact, the 2016 election helped raise awareness of an issue that Flickr co-founder Caterina Fake has been talking about in Silicon Valley for years — the ethics of technology. That conversation was furthered by OpenAI's decision to publicize the nonrelease of their new technology last month, Fake told NPR's Lulu Garcia-Navarro. "Tech companies don't launch products all the time, but it's rare that they announce that they're not launching a product, which is what has happened here," Fake said. "The announcement of not launching this product is basically to involve people in the conversation around what is and what is not dangerous tech." When evaluating potential new technology, Fake asks a fundamental question: should this exist? It's a question she explores as host of the podcast Should This Exist? In a recent episode, Fake investigates a product called Woebot, which is an artificial intelligence-driven robot therapist. NPR spoke with Fake about the ethics of this new technology — and technology as a whole. As we know, depression has increased, which has followed very closely the introduction of technology into our lives. My initial impulse was, "Gosh, should we use technology to cure the problems of technology? That seems misguided." But, by the end of thinking through some of the possibilities of this technology, I became convinced that in fact, this was probably a good solution for it. When we had first started Flickr, we kind of understood that what we were building was online community. Online community is something where you show up — you are yourself, you have to participate and you have to negotiate the culture of the community in which you are participating. In a social media platform, you are so-called "eyeballs." You are a product that is being sold to advertisers. It's a completely different dynamic. When things switched from being, very early on, thought of as "online community" to being thought of as "social media," the dynamics of the entire software changed. I feel as if technology can always be used for good, right? It has neutral valence. It is the way that humans use it, how we approach it and how we think about it — that is the most important part of technology and technology in our lives. The important part of this is to acculturate people to asking these questions. As we all know, Millennials and Gen Z and the younger folk are much more thoughtful about: what are the values behind this product or this program? And what does it do to us? NPR's Amanda Morris produced this story for digital. NPR's Mayowa Aina produced this story for broadcast.